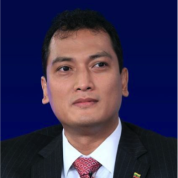 Ken Tun founded Parami in 2004 and has since overseen its growth into a variety of sectors. His areas of expertise include finance, steel and cement industries, oil field support services, and oil and gas exploration, production, and development. In the press, Ken has been interviewed or quoted on matters of oil and gas or energy investment and development in Myanmar. This coverage has been generally positive, and has emphasized his calls for corporate social responsibility and sustainable energy development, noting that at Parami, “We give a man half a fish to have his stomach half full and then teach him how to fish.” Ken has also consistently emphasized the need for domestic development in Myanmar to accompany increased foreign investment: “Unless we can balance an increase in foreign investment and energy production with the development of the domestic market, there is a risk that growth will be unsustainable.” Ken has an MBA from the National University of Singapore and a Bachelor of Engineering from the Yangon Institute of Technology. He was named a Young Global Leader by the World Economic Forum in 2014.